One of our readers has reported this – happened approx half an hour ago. 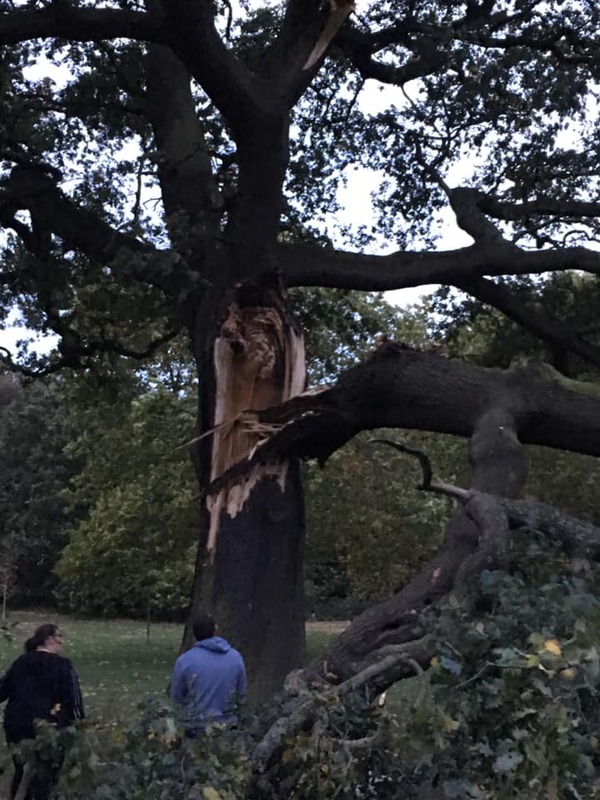 The tree has been assessed by the Council’s Tree team and given its size and the extent of the damage, regrettably the tree will have to be felled. Council staff will be working partnership with a local tree contractor to undertake the works. The aim is to leave the trunk of the tree and consider options which will include a possible feature sculpture in the park. We will also include for a large replacement tree in the park this autumn /winter.